We welcome 2 pets per apartment home. There is $300 pet fee for the first pet and $100 for the second pet. There is also $15 monthly pet rent per pet. Please call for details on pet fees and breed restrictions. Parking Comment: A secured access parking garage is available for our residents. 1 parking space per lease holder. Please call for more parking information. 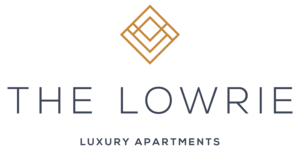 At The Lowrie, we offer signature amenities combined with exceptional service. We are proud to announce that we were recognized in the 2018 Elite 1% ORA Power Rankings which measures customer satisfaction through online surveys by J Turner Research.